Throughout the 226 years since the U.S. constitutional system was ratified, the American people and their government have amazed the world with periods of some of the most unprecedented scientific and technological growth the world has ever seen. In 1789-1801 first Treasury Secretary Alexander Hamilton oversaw the revolutionary transformation of the young republic’s war debt into guaranteed-return internal improvement investments, and later, under the guiding hand of President John Quincy Adams and Nicolas Biddle the rapid construction of new roadways and canals which opened up the North American continent for development was facilitated by the founding of the 2nd National Bank throughout the 1820s. "A national debt... will be to us a national blessing. In 1861-1869, Abraham Lincoln invoked the same authority to simultaneously finance the war that ultimately defeated, not just the Confederate South, but the British Empire’s international slave trade, at the same time sponsoring the transcontinental railroad and the settlement of the West through land grant universities. And finally, from 1933-1944, Franklin Roosevelt asserted the sovereignty of the U.S. government and its economic interests over those of Wall Street, thereby overpowering the forces which had dried up the lending capabilities of commercial banks and unleashed an unparalleled industrial renaissance that still runs the country today. What each of these moments in American history have in common with each other, is the expression and utilization of the sovereign power of federal credit endowed in the U.S. Constitution by Alexander Hamilton. Today, however, is not one of the those periods. Currently, as in the periods interspersed throughout these enormous leaps of growth in our country’s history, U.S. economic policy has been subverted by monetarism. Unless the United States learns from its history, and how, as in the case of Andrew Jackson, sound economic policy has repeatedly been corrupted by populist denigration of the federal authority in charge of economic growth and the illusion of money making money, we will, as a nation, never actually win the battle our founders set out to win. Jason Ross and EIR's Paul Gallagher discuss in detail the Hamilton's method of national banking and how that same approach could be used to unlock a similar revolution in economic growth in the United States today. By Robert IngrahamThere are myths and counter-myths surrounding the early history of the United States of America. It is often difficult for the mere observer to discern what was actually going on, and what the nature of the battle was. This document will demonstrate that from the very beginning, this nation was defined by a titanic war between two opposing forces, opponents who differed not merely on practical political issues, but on the very nature of the human species itself. On the one side was the New York leadership who created the United States Constitution and defined the mission of the United States during the Presidency of George Washington. Against them were arrayed the Virginia combine of the Southern "Slave Power," an anti-human aristocracy who were determined that it would be the slavocracy of the South who would control the future destiny of the nation. This is the story of that battle. By Micheal Kirsch"The public mask of Jackson’s first administration fell away: the requests of the radical states-rights groups, the wealthy landowners, and slave holders of the Southern states would be granted, while the interests of manufacturing, internal improvements, and national independence, were thrown aside." By Anton Chaitkin Lincoln and his allies brought back American industrial and technological progress, and exported it as the program of all mankind against the backwardness imposed by European imperialism. This universal ambition and technological optimism typified the United States under the 20th-Century Presidencies of Franklin Roosevelt and John F. Kennedy. But, following the 1963 JFK assassination, we have come increasingly under control of the British financial empire once again. By by Robert Ingram"The United States of America was created with a purpose, with an intent. Our national culture was not fashioned to be a valueless consumer delicatessen, peopled by humans who exist merely day to day, motivated by how much pleasure or entertainment they might derive from a chosen set of activities." Fortaleza, Brazil, July 2014 – The July 2014 BRICS Summit in Fortaleza, Brazil and the agreements reached leaders of the nations attending, has ushered in a new paradigm on the planet, one which challenges the decades long hegemony of the brutal Wall Street, city of London and IMF 'conditionalities'. Part of the doctrine of empire, monetarism specifically rejects the key provision of the credit system as Hamilton specified it, namely, that the key factor of growth in any economy is the power of the human mind to transform its surroundings into higher, more productive states of organization. Instead, monetarism mystifies this basic principle of growth, promising its patrons instead, that money itself has an intrinsic value and therefore all money is equal, whether it was made through usury or nation building. It is for this reason, the rejection of the productive powers of the human mind as the only true scientific factor of growth economy, Monetarism mystifies the basic principle of growth, promising its patrons instead, that money itself has an intrinsic value... that the transatlantic system today has disintegrated into an irrational and unpayable matrix of worthless debt. The only hope these debts have of being resolved in the real world, is through reorganization using a Glass-Steagall standard, and a rebuilding of the productive bases of each nation such that may regain their natural ability to generate real wealth. Today, in the west, that reorganization has yet to occur, putting the current and future political, economic and social livelihood of the United States and Europe on the chopping block as the governments of these nations stubbornly and pathetically adhere to the “economic principles” of the “markets.” Meanwhile, in July of 2014, recognizing that there is no viable future for any nation in the current monetarist paradigm, the BRICS nations, Brazil, Russia, India, China and South Africa recently established their own New Development Bank (NDB), capitalized at $50 billion, specifically for development projects. In tandem with the creation of the NDB, a Contingent Reserve Arrangement (CRA) was also created, capitalized at $100 billion to “help countries forestall short-term liquidity pressures” and “strengthen the global financial safety net,” and thereby setting a new standard for economic growth on the planet in direct counterpoint to the failed IMF/World Bank transatlantic system. In the wake of this July BRICS summit, a host of other nations, including Egpyt, Argentina, Nicaragua, Bolivia and others, invigorated by sheer power of nearly half the world’s population breaking from the current bankrupt system, announced nation-wide development projects of their own, like the expansion of the Suez canal in Egypt, and the inter-oceanic canal in Nicaragua, and, reasserted their national sovereignty over the usurious imperial interests who have survived for decades by extorting nation’s resources and populations, as in the case of Argentina. But what is next for this growing list of nations? While these overtures towards a new global financial architecture hold tremendous potential, these projects are, in reality, just the beginning of what is required to bring mankind out of the backwards and impoverished cultural and economic state we find ourselves in as a planet, today. What will be the law or laws among nations which facilitate the kinds of rapid growth in energy infrastructure, medicine and other areas desperately in need of advancement? The U.S. credit system is not merely a well-regulated currency where credit is available through banks, instead, the total organization of economy, banks, the currency and investments, are all geared toward growth. According to the first act of Congress following his first Report on Public Credit, no debt of the government was to be handled as a self-evident, monetary debt, but was tied together with a future income related to increases in productivity, regulated and facilitated by the Bank. Hamilton viewed the currency not as wealth itself, but the constitutional responsibility of government to facilitate the scientific ingenuity and spirit of enterprise. Hamilton's action of turning monetary debts into credit debts... became more valuable to the growth of the economy than if the full monetary debt had been forgiven In Hamilton’s Report on Manufactures, he laid down the essential principle of economy as a physical system of productivity. The primary measure of value is not capital, but the mental powers which increase the productive powers of labor, and thus increase the value of capital through increasing productivity and production. The determination of the value of goods, of labor, and of production is therefore those increases or decreases in the rates of productivity. The lesson that governments in crisis need to learn today is that Hamilton’s action of turning monetary debts into credit debts in the immediate aftermath of the Revolutionary War, became more valuable to the growth of the economy, than if the full monetary debt had been forgiven. Only with the establishment of a global credit system will mankind be given an honest chance to reach his full potential as a creative force in the universe, and defeat the imperial, monetarist interests that have forced much of the planet’s population into the bestial conditions of life today. By Micheal KirschThe U.S. credit system is not an optional feature, or an add-on to the Constitution. The necessity to organize a credit system was the chief driving cause for the creation of the Constitution. By Micheal KirschMany in the United States Congress want to know how to reorganize the U.S. economy, but are stuck with two fundamental questions: how to regulate speculation constitutionally, and how to generate wealth and the means of funding a nationwide recovery. There is an alternative to Federal Reserve and Eurozone bailouts and austerity: a re-establishment of a U.S. Credit System, in which the first step is a re-instatement of the Glass-Steagall Act. In Mr. LaRouche’s 40 year fight for a just international financial order, the most pressing question ultimately raised, is: what economic system can replace the antiquated system of imperial British Free-Trade? Looking no further than his own nation’s incredible history, Mr. LaRouche and his associates revisited the ‘American System of Political Economy,’ of Alexander Hamilton, Lincoln economic advisor Henry Carey and Henry Clay, a philosophical arc of economy that goes back to John Winthrop and the Massachusetts Bay Colony of the 17th century. Ultimately, today, we are fighting the same battle that these great leaders began, centuries before us. And because all other economists today have failed to recognize the real factor of growth in economy, mankind’s creative capability, they have also failed to recognize the historical legacy that the United States uniquely represents in taking on these historical and contemporary enemies. In reviving the tradition of the American System of Political Economy, and championing the return to an American Credit System, Lyndon LaRouche and his associates have made themselves both a target of these same historical foes and the sole heirs of this incredible legacy inside the United States today. Without a return to the American System, the United States ceases to be itself, and is vulnerable to control by foreign economic and political interests. Mr. LaRouche’s call to return to a system of National Banking, as laid out in his “Four Laws to Save the U.S.A. Now! Not an Option: An Immediate Necessity” should serve as a rallying cry among the patriotic leaders in the United States to end the subjugation of the United States by imperial financial interests and regain our rightful role once again on the world stage a leader of the development of nations and their people. Historically speaking, there are two traditions of Massachusetts. There is the patriotic faction, represented by the Mathers, Winthrop and Benjamin Franklin. And then, there's the Tory faction, represented by the British Traitors of 1620-1783, and their forebears today, who are now wittingly acting to dismantle the United States. Michael Kirsch presents the development of the American Credit System beginning with John Winthrop Jr.'s Credit Bank concept, through to Alexander Hamilton's foundation of the Constitutional Credit System. Cancel Wall Street!Bring Back Glass-Steagall! At the start of his Friday webcast Aug. 2, Lyndon LaRouche was asked, and responded to a question from a regional Building Trades Council leader from the Mid-Atlantic area. Here is the exchange. "However, as I say, Glass-Steagall is indispensable, but it does not contain a cure. It contains a preventive of gambling, and it is necessary. But here's where the problem comes in: We're going to be operating, not on the basis of the present system. That is, if the United States is going to survive; if the U.S. economy is not going to disintegrate entirely, what's going to have to happen, relatively immediately, now, is the installation of a credit system as the basis of actually creating the potential growth of the U.S. economy." "The evidence of the functional difference of man from beast, is to be recognized in the evidence of the effects of science-driven, willful human physical-economic progress. That, in turn, depends upon the condition that this represents a net progress in mankind's power to exist at rates which outrun forms of depletion inherent in the function of attributable physical time." 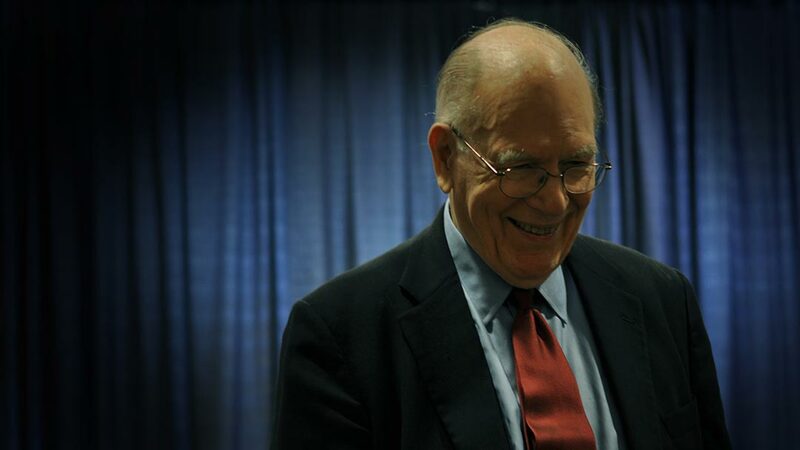 Here is an edited transcript of Lyndon LaRouche's keynote address to the Schiller Institute conference, "The Eurasian Land-Bridge Is Becoming a Reality!" held in Kiedrich, Germany, on Sept. 15-16. "What has been lost, is a sense of the meaning of "indispensable capital investment in the physical conditions of progress"; it means a loss of the meaning of the investment required, not only to rescue the U.S.A., but to secure the civilized future existence of the world as a whole."